On one hand, as fast as time seems to be moving these days, it’s hard to believe that the New World Now podcast recently celebrated its first anniversary. On the other hand, when I think about the political mayhem, the tragic natural disasters, and the senseless acts of terrorism that have occurred in the same time period, the past year feels like it has lasted a lifetime. The first episode of New World Now aired one month and one day before the presidential election. Little did I realize the extent to which our cultural stakes were about to change, and just how imperative my intention for the podcast — to bring forward practical tools we can all use to be more mindful and present in our daily lives — was about to become. Drawing on her wide experience studying spiritual teachings from around the world, Opening to Meditation author Diana Lang teaches a gentle, guided approach to meditation that is very easy to implement. In this inspiring interview with host Kim Corbin, Diana reminds us that meditating is as simple as breathing, and she explains how it can reconnect us with our foundational essence of soul and self, where peace and centeredness are always available. 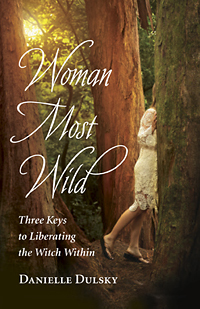 When I found out I would be working with Danielle Dulsky to promote her book Woman Most Wild: Three Keys to Liberating the Witch Within, I was over the moon. It was the perfect match for me. Not only am I a longtime practicing Witch myself, but I am also dedicated to empowering women to own their power and live the best lives they can, creatively and spiritually. The work of Danielle Dulsky, who is also an artist, yoga teacher, and energy worker, reflects a similar life path. She leads women’s circles, Witchcraft workshops, and energy healing trainings and regularly speaks about how everyone — female, male, or beyond the gender binary — can find a unique feminine spirituality and welcome that spirituality into daily life.